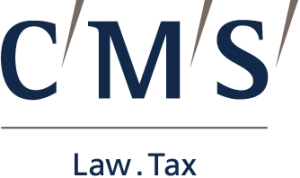 Founded in 1999, CMS is one of the first ten international legal studies for number of professionals (Am Law 2016 Global 100). With 65 offices in 38 countries all over the world, for a total more of 3,400 professionals, boasts one proven experience of consultation to level of local and international jurisdictions and work on behalf of an ample range of firms Fortunes 500 and FT Europe 500, over that for the greatest part of the societies DAX 30. INFOR ELEA is born from the fusion of two prestigious realities: ELEA spa, founded in 1979 by the group Olivetti and INFOR, founded in 1994 as autonomous corporate body, checoinvolge today over 250 institutional and economic partnerses, public and privacies. Been born in 2011 by the two partners Fabio and Mirko Lalli, IQUII is a Digital Company to 360° specialized in mobile App iOS, Android, Social Media, Web, integrated Marketing, Digital PR and Wearable &amp; IoT. Innovability is the point of reference of the filiera of operators in the sector of the digital technologies “disruptive” and organizer of events, conferences and formative seminars. The first marketplace that allows the firms to seek independent advisors on the base of the “matching” between specific requisite of project and the offer of the most proper competences. TaBizCo is convinced that the consultation of direction can bring assistant value to the firms. Omitech srl is a Managed Services Provider (MSP: supplier of managed services), with a twenty-year experience in the transformation of the innovation in benefits for his/her own clients; horizontal to the technologies and the segmentations of the market it operates with the PMI, the PA and the great firm. For Omitech, the being MSP is the appointment to support the client: in the on-boarding; in the management, and furnishing the guarantee of a maintenance and constant evolution some service. The services “Managed” they allow the client to remain assembled on the proper business, while Omitech manages the complexity to get an experience of natural use for services as mail, safety, protection of the data, cloud.